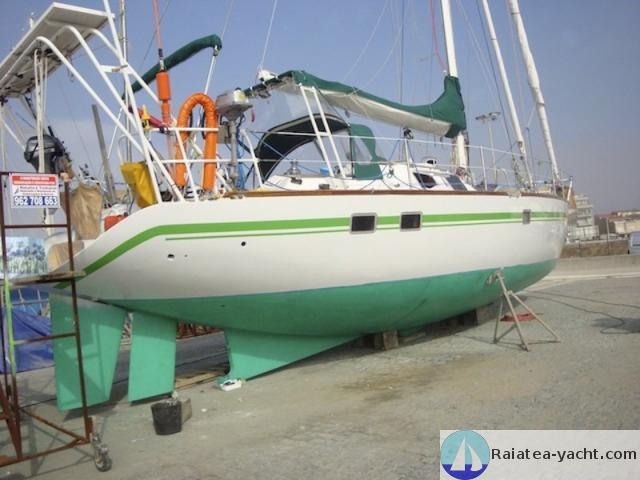 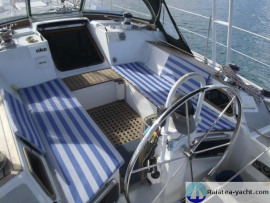 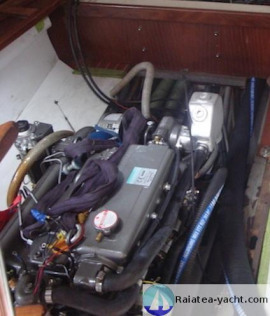 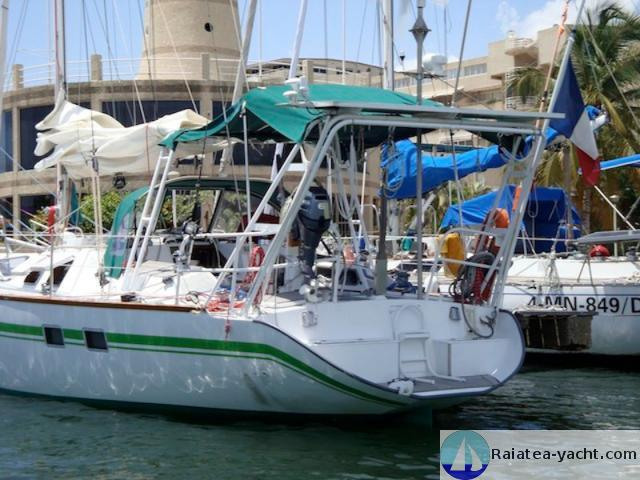 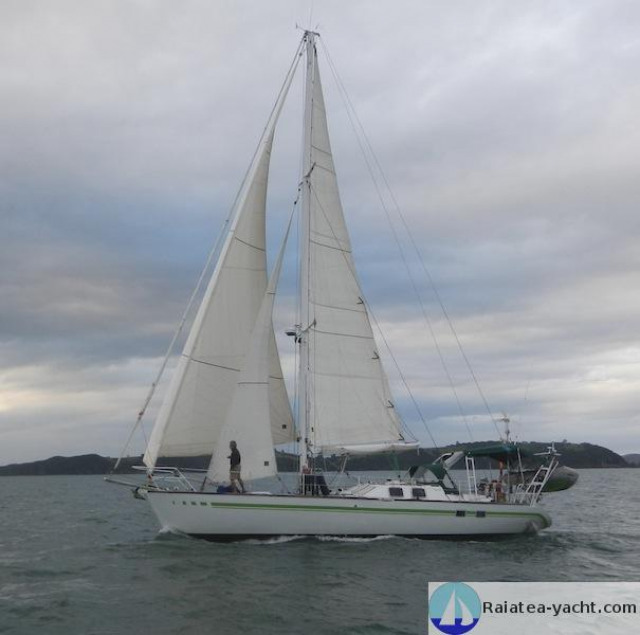 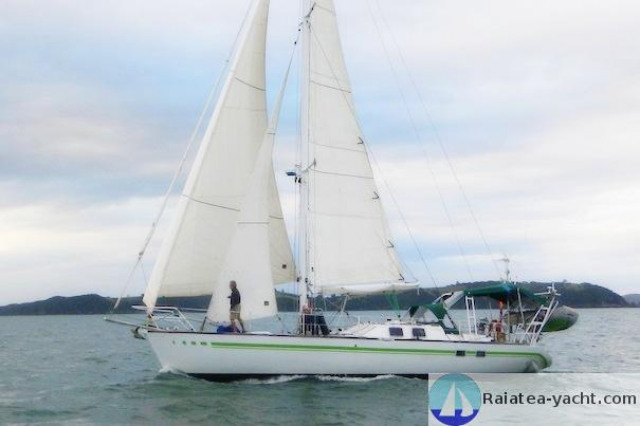 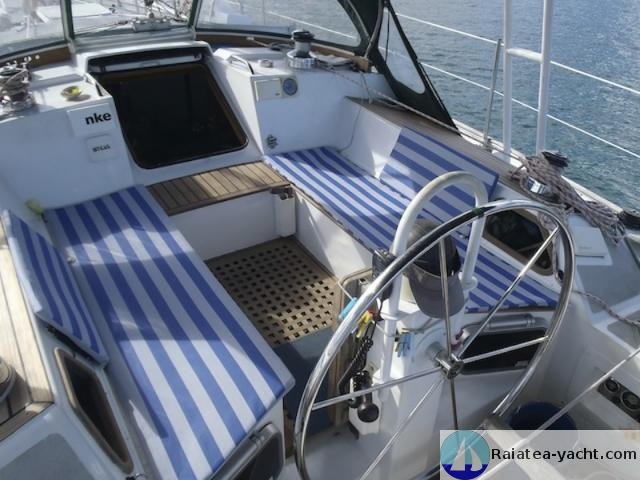 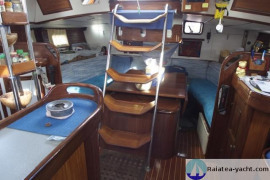 Full centerboard aluminium sailboat from the famous Garcia shipyard. 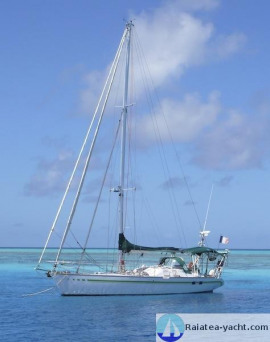 Sturdy and reliable. 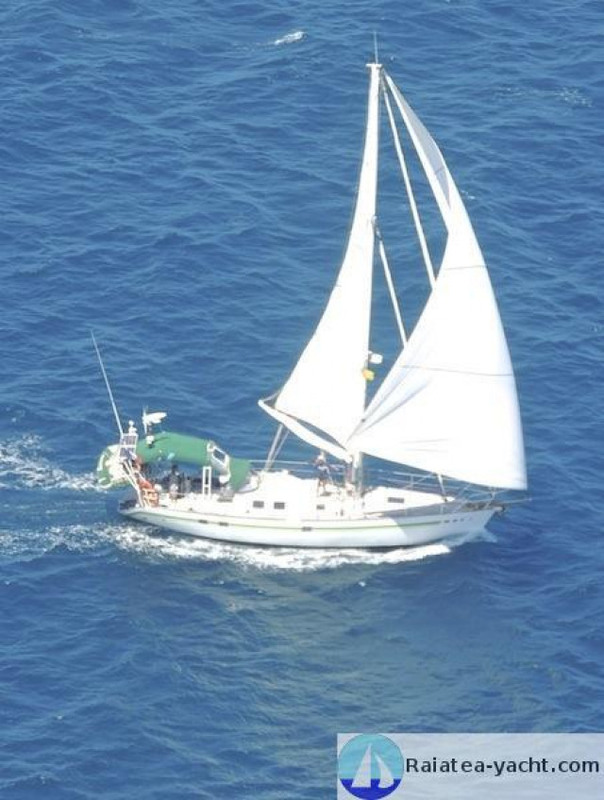 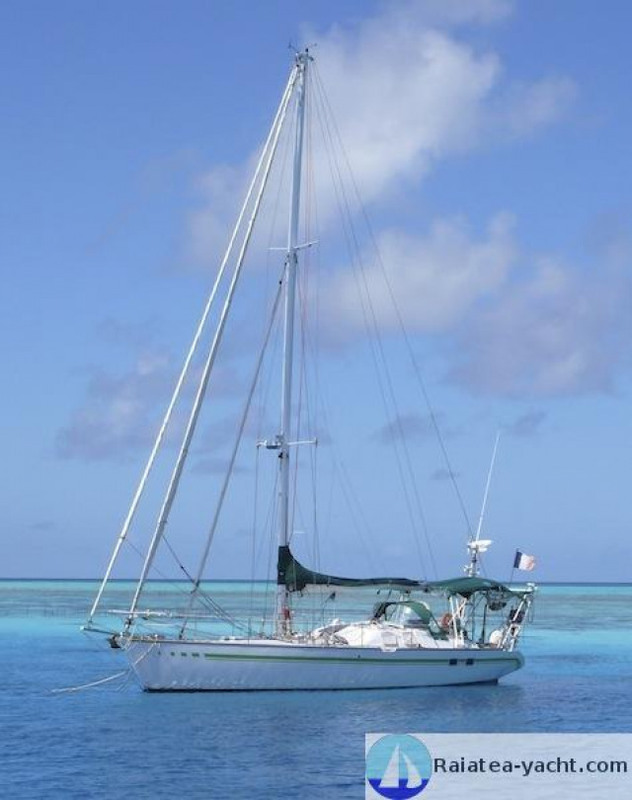 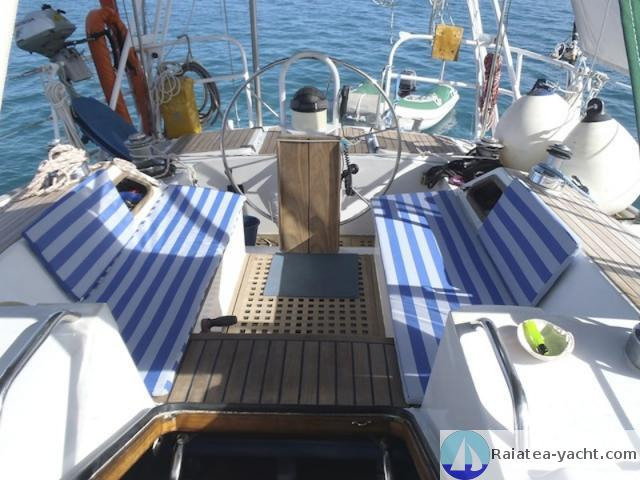 Ideally fits every kind of blue water sailing. 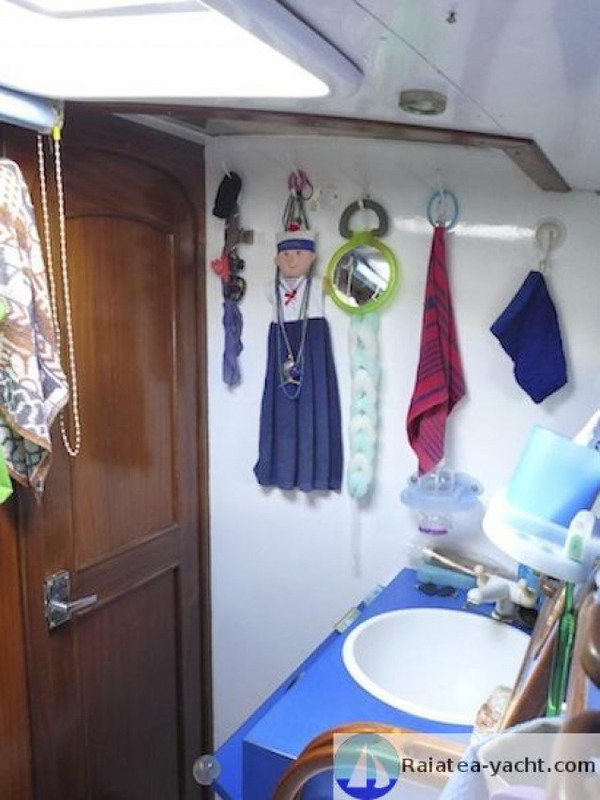 This boat is ready to sail, without any further expense. The owner is open to deliver everywhere. 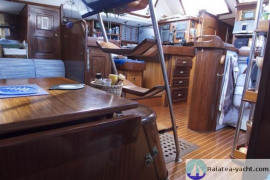 Full centerboard aluminium sailboat, NOUANNI type, built after plans by Philippe Harlé, renowned for his great experience of long range navigations boats. Hull built by the GARCIA shipyard 1987, which the current owner bought bare, with the deck built and the hatches set. 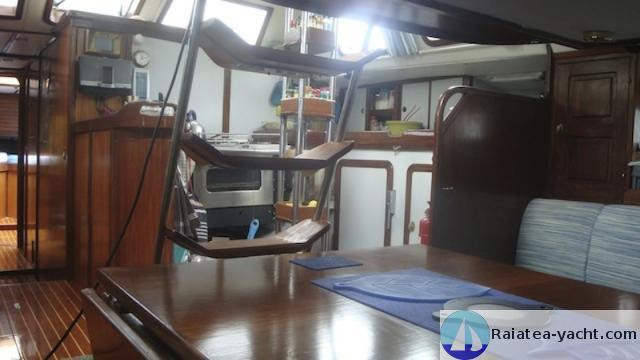 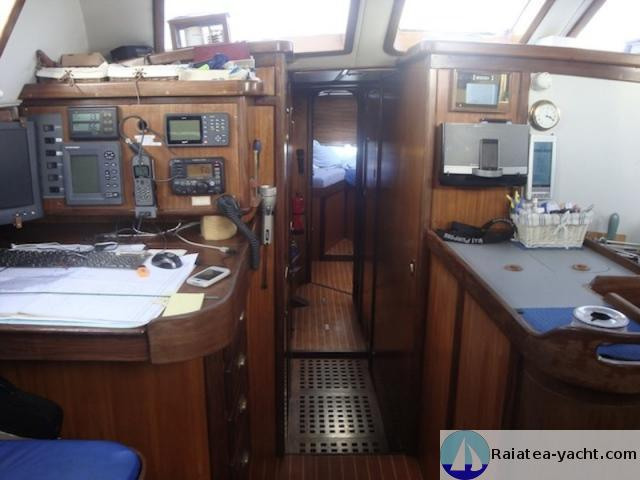 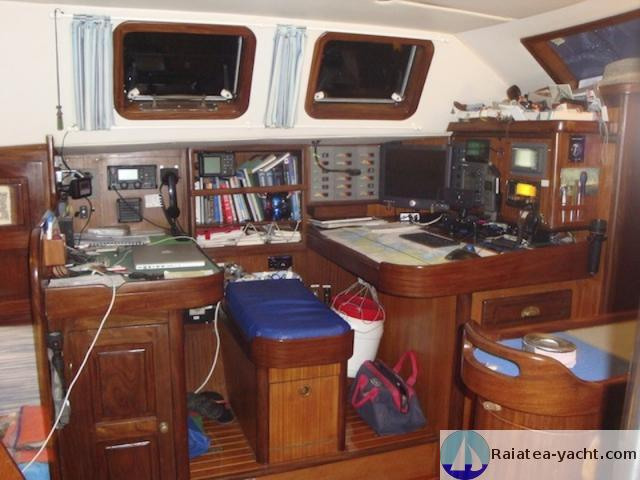 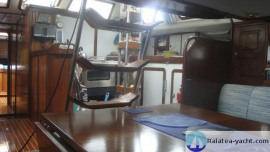 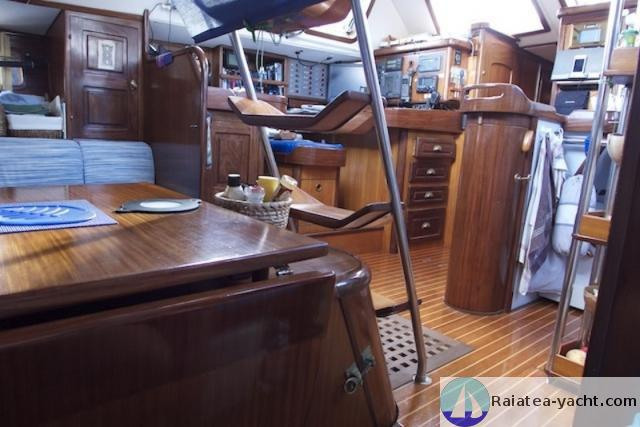 From 1987 to 2002 the inside was fit after the owner's plan, with the collaboration of different shipyards and craftmen. 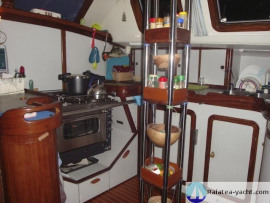 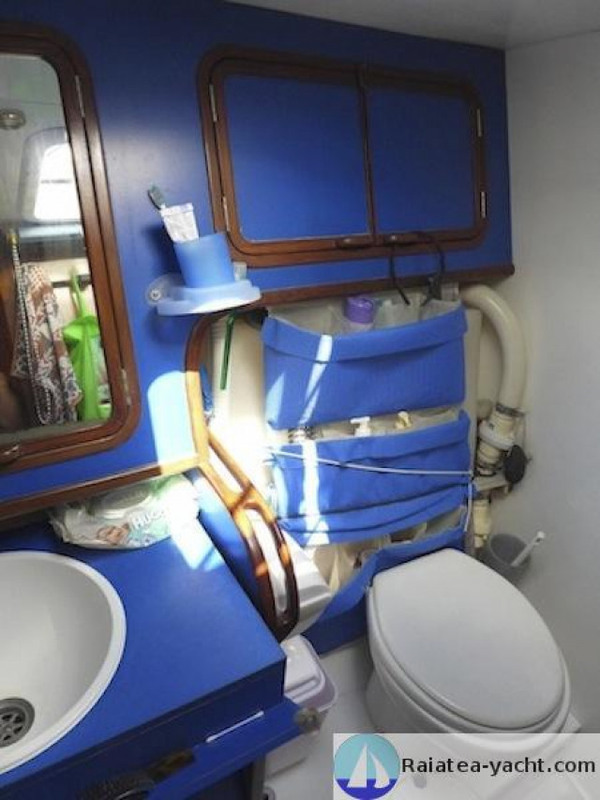 The boat was designed to favor a friendly living space. 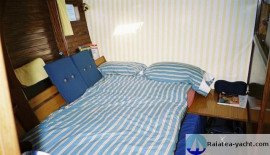 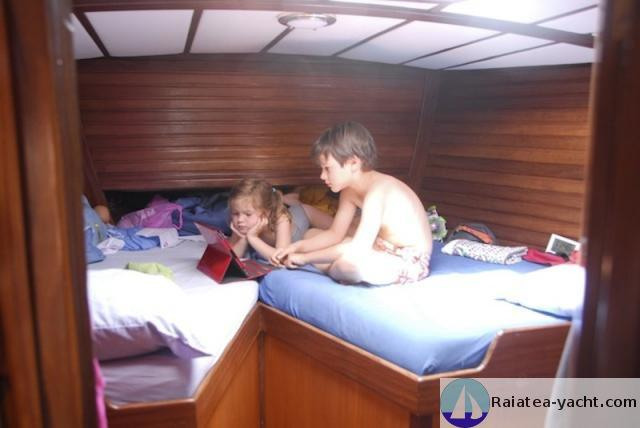 Life at sea mainly takes place in the main cabin aft of the mast and the saloon settees. 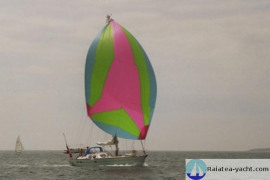 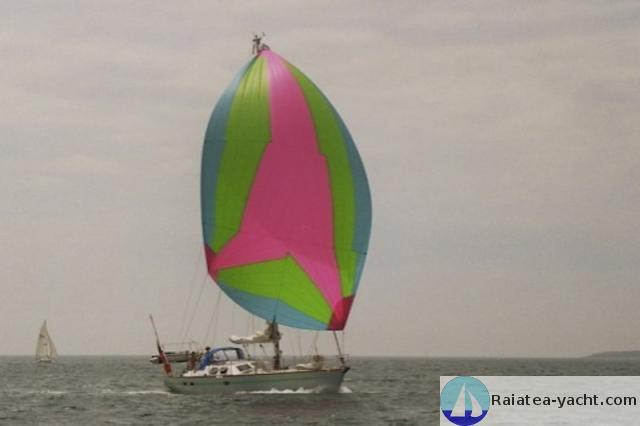 From 2002 to 2009, the boat sails in Atlantic, Gallicia – Spain, Portugal, Ireland. 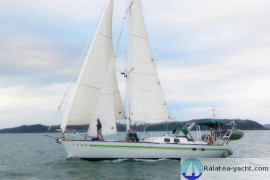 From 2009 until today, blue water sailing, Atlantic and Pacific. 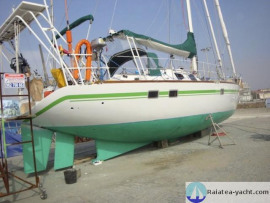 Continuous care and maintenance have been made by the owner since the launching and since he left France in 2009. Important works were lead during 4 months in New Zealand in 2014, including replacement of the hatches (except front of the roof), complete painting of the deck with non-skid, setting of new solar panels, pitching up the sun power capacity to 570 W, allowing extended self-sufficiency on mooring (including cooling and one hour of water-maker a day). The boat is ready to sail blue-water, without any further expense.